I’m confused about the romaine lettuce alert. Is it safe to eat romaine now? 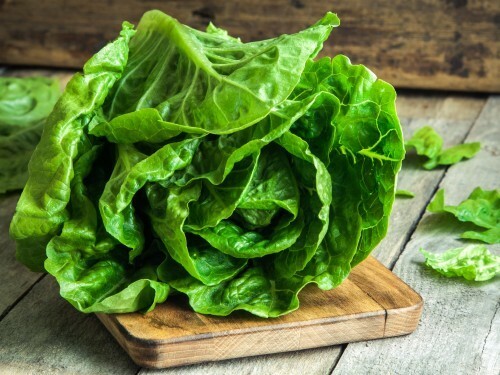 The Centers for Disease Control and Prevention said this week that consumers may now safely consume romaine lettuce as long as they are sure that the lettuce they eat was not grown or harvested from the Central Coastal growing regions of northern and central California. However, the CDC still warns consumers not to eat any romaine lettuce if they don’t know where it came from. “It may still take some time before romaine lettuce with regional labels indicating harvest locations in Florida or Arizona to become available,” said Abigail Snyder, an assistant professor and food safety field specialist in the College of Food, Agricultural, and Environmental Sciences (CFAES) at The Ohio State University. This updated warning is the result of the recent multistate outbreak of Shiga toxin-producing Escherichia coli O157:H7 (E. coli O157:H7) infections linked to romaine lettuce from the Central Coastal growing regions in northern and central California. Since Oct. 8, some 43 reported cases of illness in 12 states including Ohio have been associated with this outbreak, CDC said. The outbreak has resulted in 16 hospitalizations, including at least one patient who developed kidney failure, CDC said. While no common grower, supplier, distributor or brand of romaine lettuce has yet been identified as the likely source of the outbreak, the CDC said that romaine lettuce grown and harvested from the Central Coastal growing regions of northern and central California should not be eaten. This includes all types or uses of romaine lettuce, such as whole heads of romaine, hearts of romaine, and bags and boxes of precut lettuce and salad mixes that contain romaine, including baby romaine, spring mix and Caesar salad, CDC said. The illness in question is a multistate outbreak of Shiga toxin-producing E. coli O157:H7 infections. This strain of E. coli can produce a toxin that in some cases can cause serious illness, kidney failure or death, Snyder said. As noted in a previous edition of Chow Line, if animal feces are in the field or soil in which the lettuce is grown, or if the lettuce comes into contact with water that contains the pathogen, E. coli can be transferred from the feces onto the lettuce. It can also be spread if a person who carries the pathogen doesn’t wash his or her hands after using the bathroom, and then processes or prepares food, Snyder said.